Getting diagnosed with diabetes, for a man or a woman is equally alarming; but there are different implications of diabetes in both. 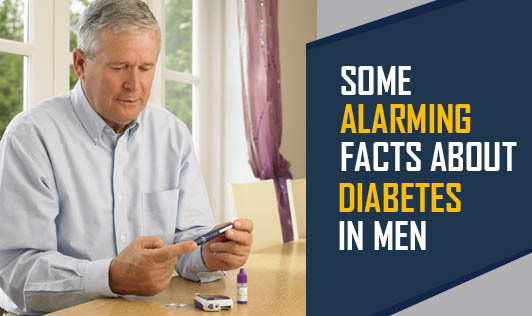 ?Here are some facts about diabetes and men. Early onset of diabetes in men causes retinopathy (a vision disorder) more quickly than in women. The incidence of suffering from cardio-vascular diseases is high in diabetic men as compared to women, as oestrogen in women has a protective effect against these diseases. Diabetic neuropathy, characterised by nerve damage, causes problems like erectile dysfunction in men. Diabetes has also been a cause of lower testosterone levels in men. It is clinically known as hypogonadism, with symptoms like greater fat mass, lower muscle mass, decreased libido, etc. This exposes men to cardiovascular diseases and stroke all the more.